1 Indian students from Anjuman-E-Islam school participate in a Yoga rehearsal ahead of World Yoga Day in Ahmedabad. 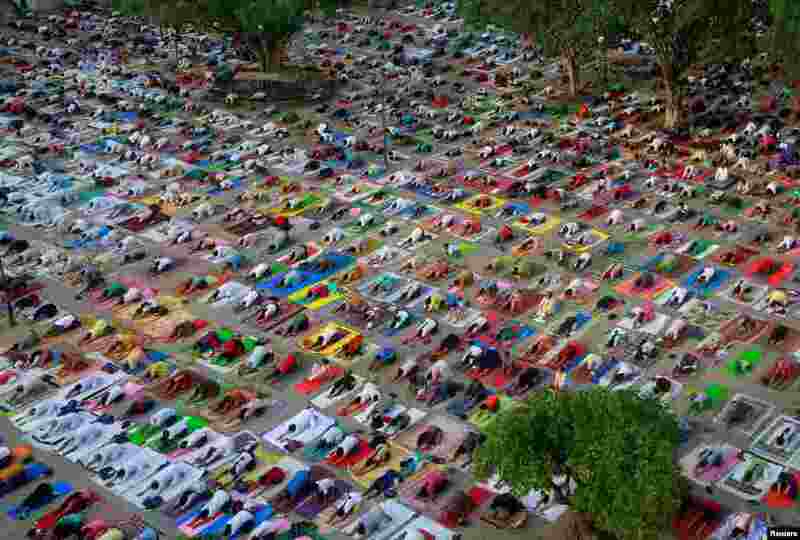 2 People perform yoga during a practice session ahead of International Yoga Day, in Chandigarh, India. 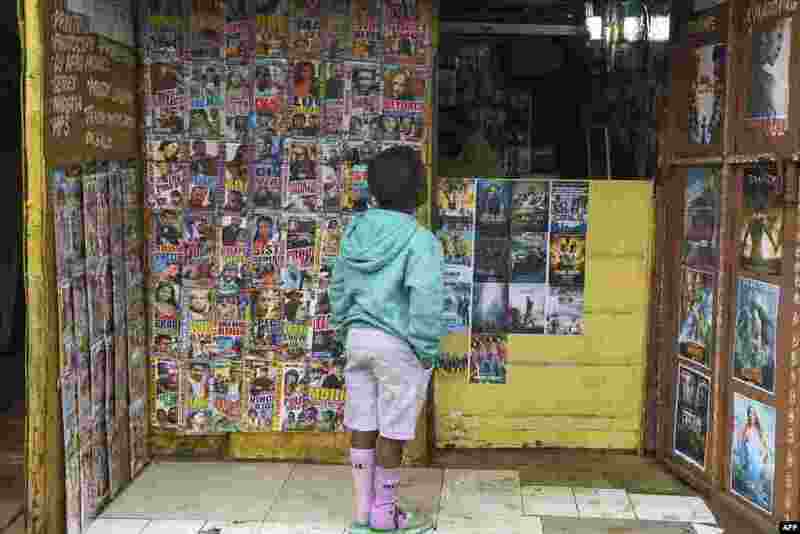 3 A boy looks at the cover pictures of some recent DVDs' at a movie shop in Kibera, the largest slum in the city of Nairobi. 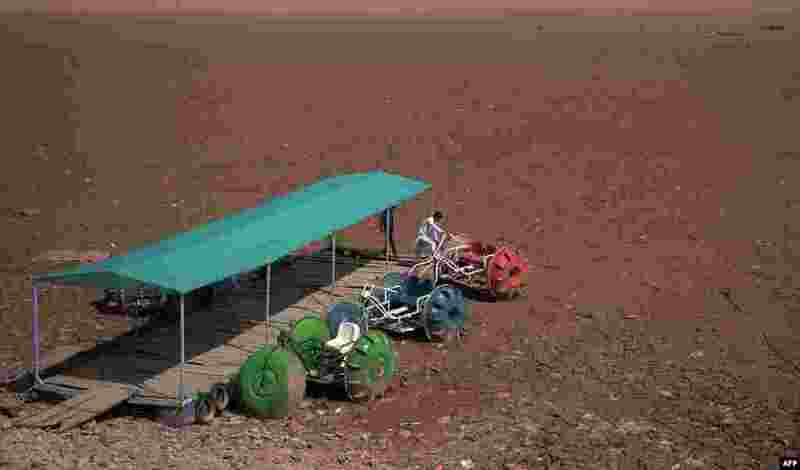 4 Pakistani residents inspect a three wheeler water bike standing over a dry portion of the Rawal dam in Islamabad.